Reverend Panagore is the author of Two Minutes for God: Quick Fixes for the Spirit, which was released in 2007 by Simon & Schuster, Inc., and spent weeks on the Maine bestseller list. He was previously a staff writer at the print jounal Homiletics a leading nationwide worship preparation journal for mainline clergy, and his stories have appeared in anthologies such as Chicken Soup for the Veteran’s Soul: Stories to Stir the Pride and Honor the Courage of Our Veterans and in Stories from a Soldier's Heart: For the Patriotic Soul (over 5 million in print) by Waterbrook Multnomah Publishers. His poetry has been published in the Café Review. 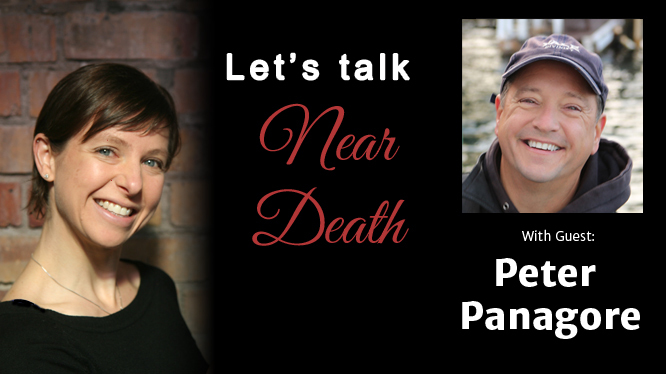 Reverend Panagore has spoken across the country to live audiences of the International Association of Near-Death Studies (IANDS) and appeared on their nationwide radio broadcast, and at statewide hospice conferences. He is a practiced public speaker. He lives in coastal Maine. You can find more of Peter at his website www.peterpanagore.com and www.dailydevotions.org.